We are a leading Wholesale Trader of gi earthing electrode, pipe in pipe earthing, gel earthing and earthing electrode from Ahmedabad, India. 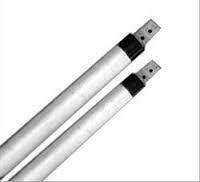 Ajanta Metals is the trusted name that is involved in the manufacturing and supplying of supreme quality GI Earthing Electrode. Provide products with superior performance and finishing. Manufactured in compliance with the existing industry guidelines, which are highly functional and easy to install ground rods needed for low maintenance costs. 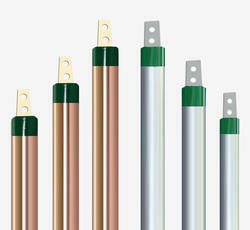 Range offered by its quality and seamless to the customer before the test. And using ground enhancing material the life of the tripolar earthing increases upto 30years. 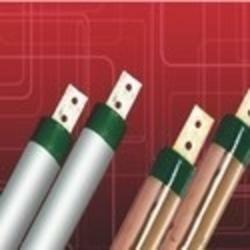 Earthing Equipment, Earthing Rod, Earthing Electrodes, Copper Grounding Rods. 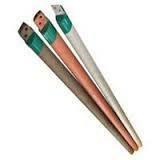 We are offering Pipe in Pipe Earthing Set.